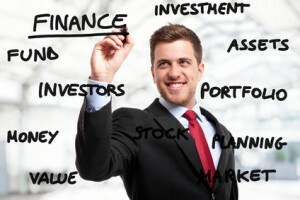 Our corporate finance accountants dedicated to maximizing value, obtaining finance and completing deals. Whether you are starting a business, expanding through organic growth or an acquisition or selling your company, our corporate finance accountants are here to advise and assist you. At some stage, whether you are a sole trader or managing a large company, you will need corporate finance advice. Our corporate finance accountants have a wealth of knowledge and expertise in this area and we are here to provide the best possible guidance for you and your business. We have years of experience working with businesses and helping them achieve their financial goals. We have worked with management teams, banks, venture capitalists, entrepreneurs, corporate companies and many more individual clients. We have particular expertise working with owner-managed businesses. We can advise and help in all areas of corporate business, including buying and selling businesses, management buyouts, raising growth capital, and turnaround financing. We are also experts in financial due diligence, acting on your behalf and helping you to make informed decisions about your acquisition targets. We can help you design a comprehensive business plan that anticipates future performance, including exit strategies. We make sure our service is tailored to your specific business, so that you get exactly what you need from us. We guarantee that you’ll receive dedicated attention from our partners. When working with us, you’ll experience the streamlined quality of city services with all the added benefits of a friendly local firm. The team at Fraser Russell is vast and diverse, allowing us to fully understand your business no matter what sector or industry you work in. If you don’t see your sector listed, be sure to contact us today – our long-established practice has helped countless businesses excel themselves. Contact us today or telephone on 0121 _647 5030 to find out how we can tailor a package to compliment your business activities at a price that is guaranteed to be competitive. Although based in Birmingham, West Midlands, our Corporate Finance services are used by clients throughout the whole of the UK and beyond. Don’t forget to subscribe to our Newsletter for all the latest updates and please feel free to interact with us via our Social Media sites and Blog.